Freshly updated and painted inside, this turnkey perfect home rests on Paradise Drive in the exclusive gated community of Ranch Trinidad. Inviting and stately street appeal beckons you into this family friendly and entertainers home. Outdoor living is a must in the lush resort grounds with views of Camelback, sunsets and city lights. Upon entering the home, you are greeted with the formal living and picture window with cascading waterfall backdrop. The gourmet kitchen opens to a generous family room complete with full wet bar and wine closet. Retreat to the master suite with sitting room, luxury bath, his & hers closets and waster closets. New rich hardwood flooring cover the living room, master, and office. 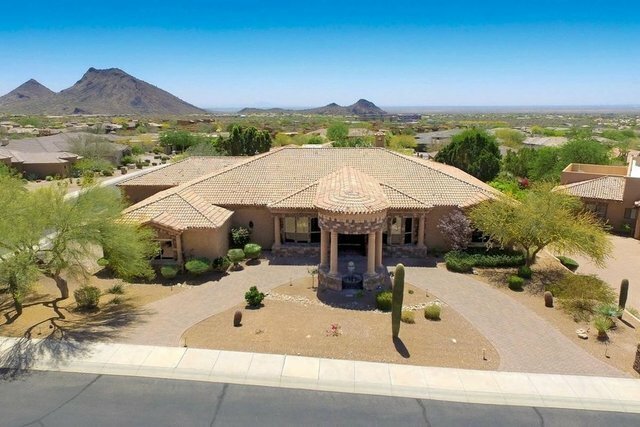 Close to two coveted BASIS schools and desirable Scottsdale schools.